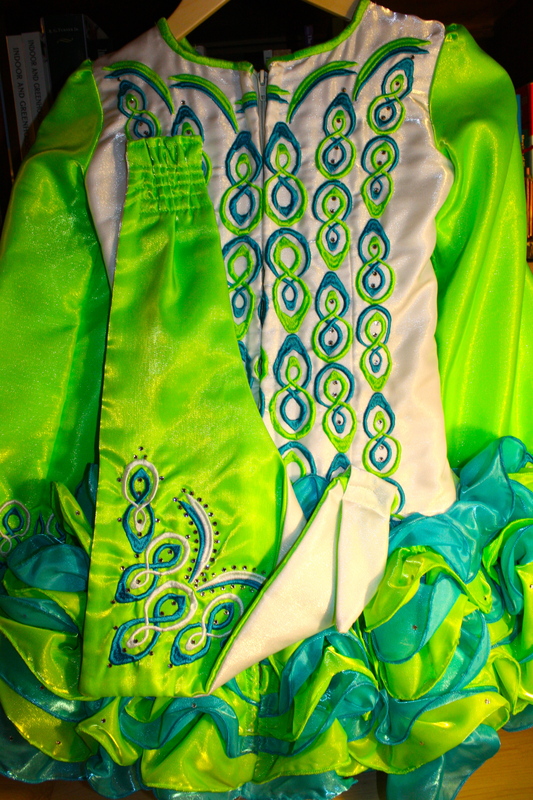 Stunning Shauna Shiels / Doire Dress Designs Dress. Custom made for slim U10 dancer. 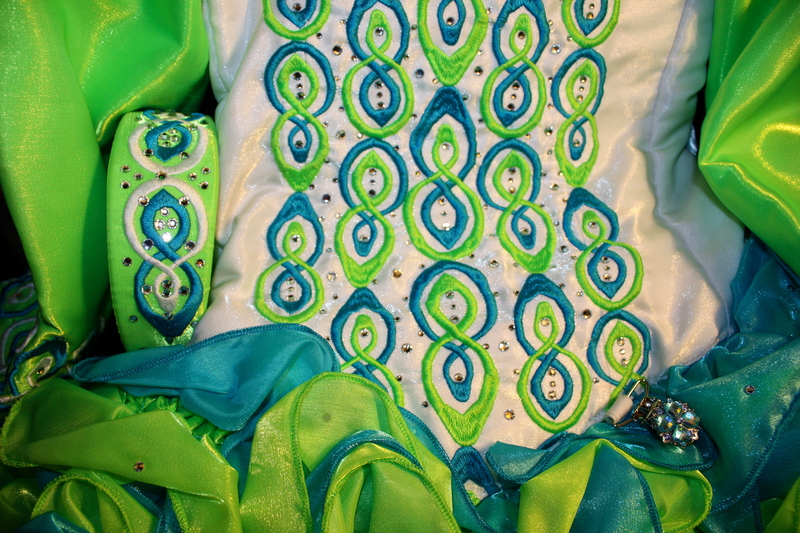 The bodice is white twinkle satin with fluorescent green satin sleeves and turquoise and bright green embroidery. Embroidery on the bodice, sleeves and cape are embellished with hundreds of crystals. The skirt is turquoise and fluorescent green cupcake. 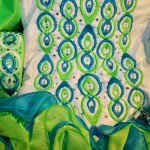 All embroidery and ruffles are in excellent condition. This dress is meticulously cared for with no odors, stains or tan marks. It comes from a smoke-free home and is always stored flat. 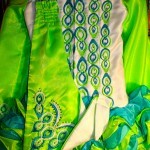 Included are a custom headband, fluorescent green bloomers and dark green dress carry bag made by Shauna. We are the original owners of this stunning dress and only selling due to growth. Please contact me for more information or pictures. 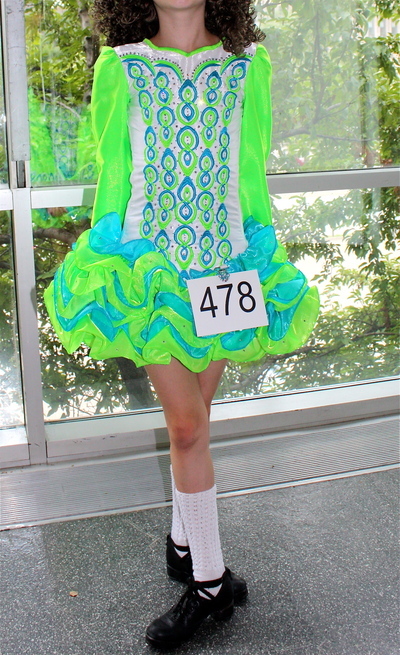 This dress has 1 1/2″ let out in the bodice and the bottom blue ruffle can be rolled up to shorten the dress to 24″. The full-length photo shows the dress with the blue ruffle rolled underneath. Natural waist measurement 27″. Asking Price: $US899. Shipping costs are not included in the asking price. Returns are negotiable.